Have you noticed how the mystical and intergalactic seems to be inescapable these days? And no, it’s not just because it’s “festival season” - it’s like a throwback to hippie, natural goods and styles with a modern twist mixed with a fascination with outerspace, from galaxy imagery on workout leggings to cakes as the eccentric uber-wealthy book trips to space. 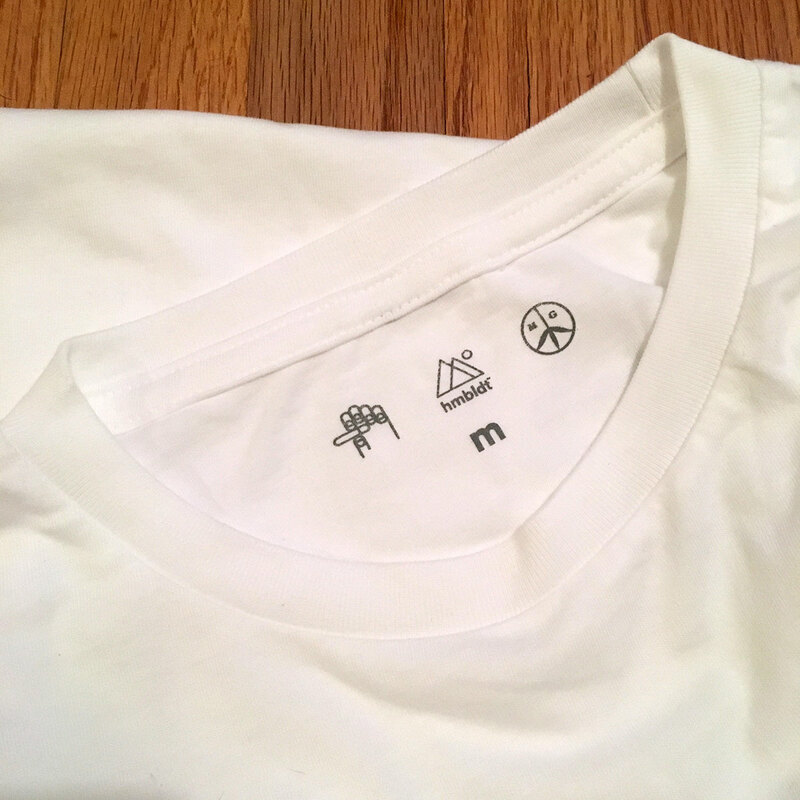 These magical trends can’t be a coincidence. Maybe it’s a reaction to the state of global politics and climate change… maybe it’s just where society is in it’s current cycle? But nonetheless, it couldn’t be more perfectly timed with the quick cultural evolution of cannabis! Watching it legalize step by step, state by state, and even country by country has been fascinating (especially the advances in design, user experience, and science!) - and it doesn’t hurt that it’s fitting right in with this magical, natural, other-worldly trend. 420 - what was once giggled about by stoners, is now becoming a more commoditized “holiday” of sorts on April 20th… every dispensary/brand has special deals (actually i’ve even been getting emails from non-cannabis related stores with limited 42% off codes) and special cannabis infused dinner parties and many events are popping up all over today. 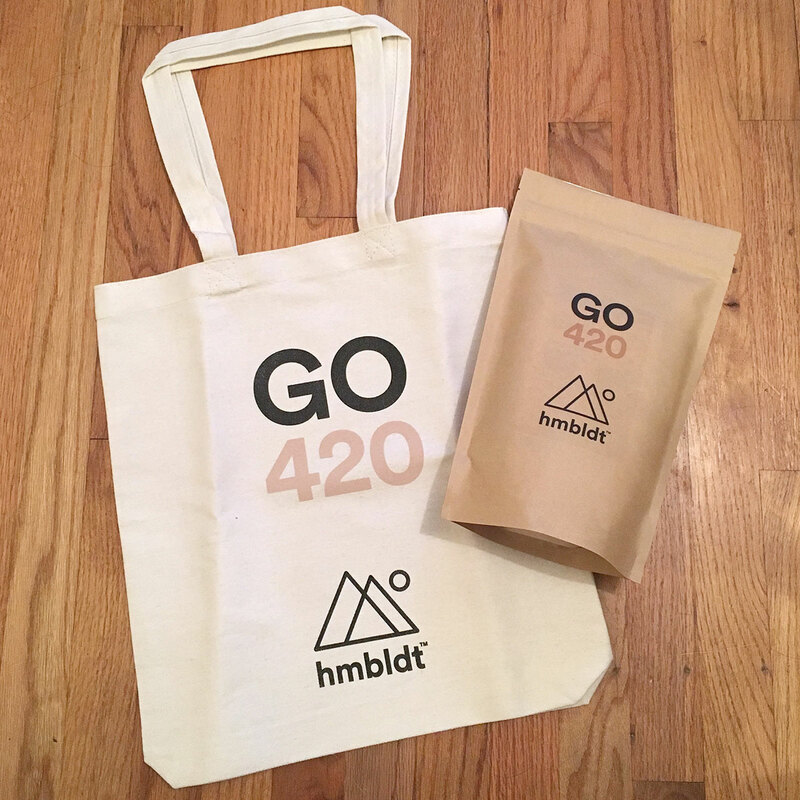 BUT - hmbldt (which we shared a closer look at) is currently leading the #GO420 charge (with quite a few friends) to change that stoner cliche, to helping people realize how cannabis can help - especially for medical reasons like epilepsy, pain relief, PTSD, anxiety and more - and focus on how “It’s the cannabis holiday, a day to honor the healing powers of the plant.” So they launched GO420.com, and filled it with 420 ways to make this the healthiest day of the year (after all, who can be anti-that?) 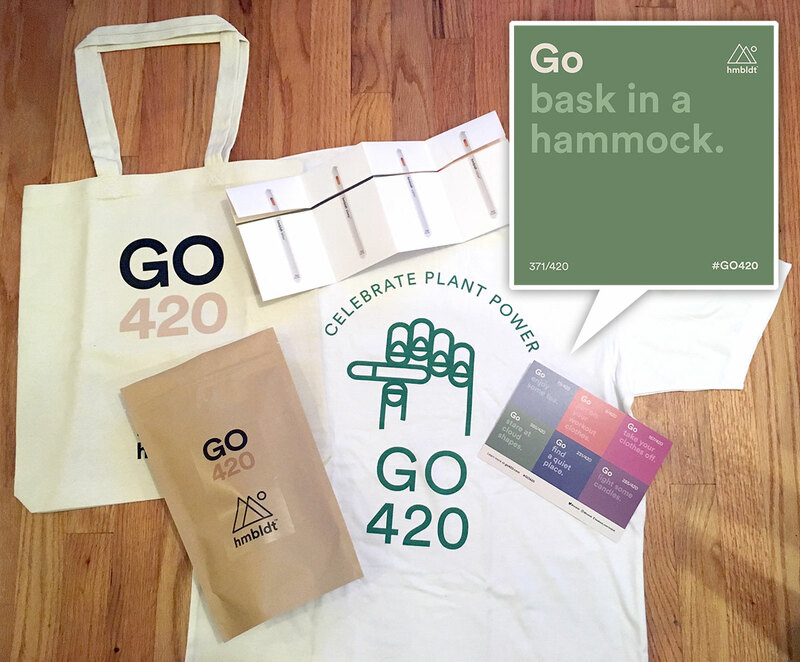 And to help spread the word, they’ve even created fun GO420 Kits - so head to the next page to see the details! p.s. 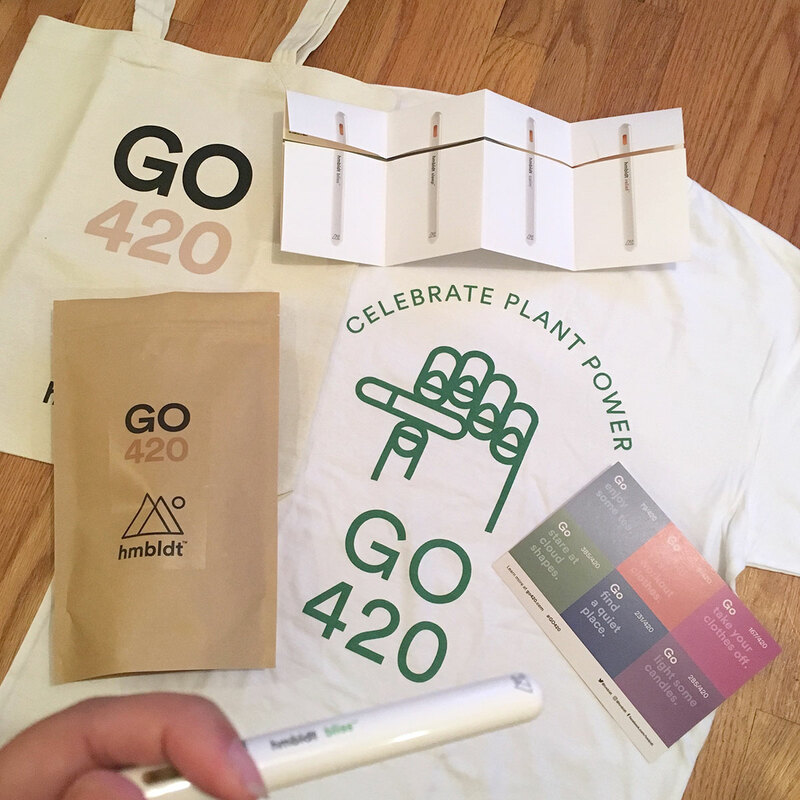 Another surprisingly fascinating design aspect of the evolving cannabis industry is seeing how companies tackle advertising - often without really showing the actual product or any cannabis related imagery! 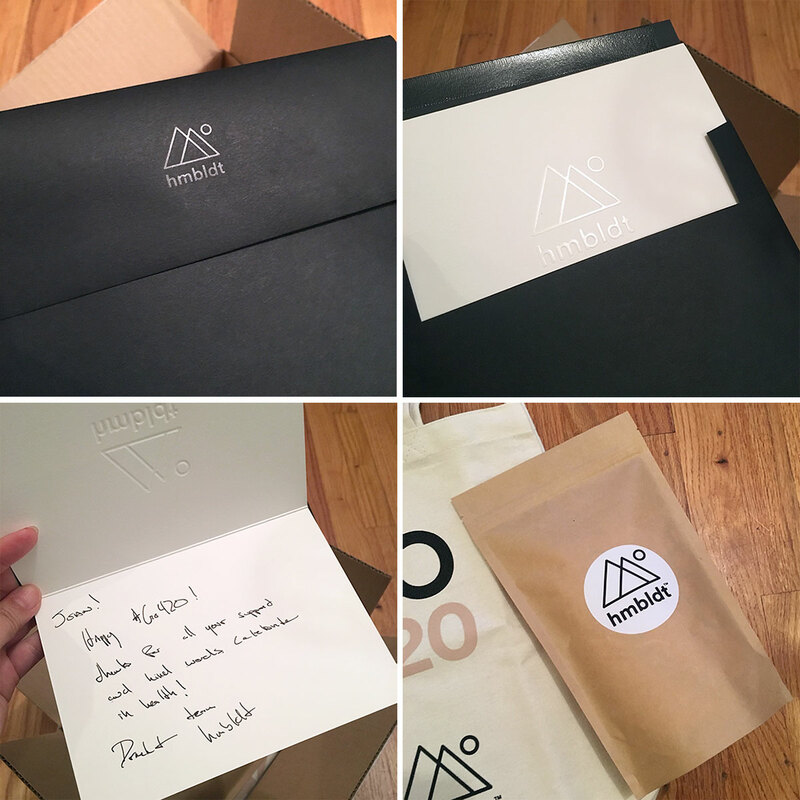 Inside the surprise that showed up on my doorstep tonight! 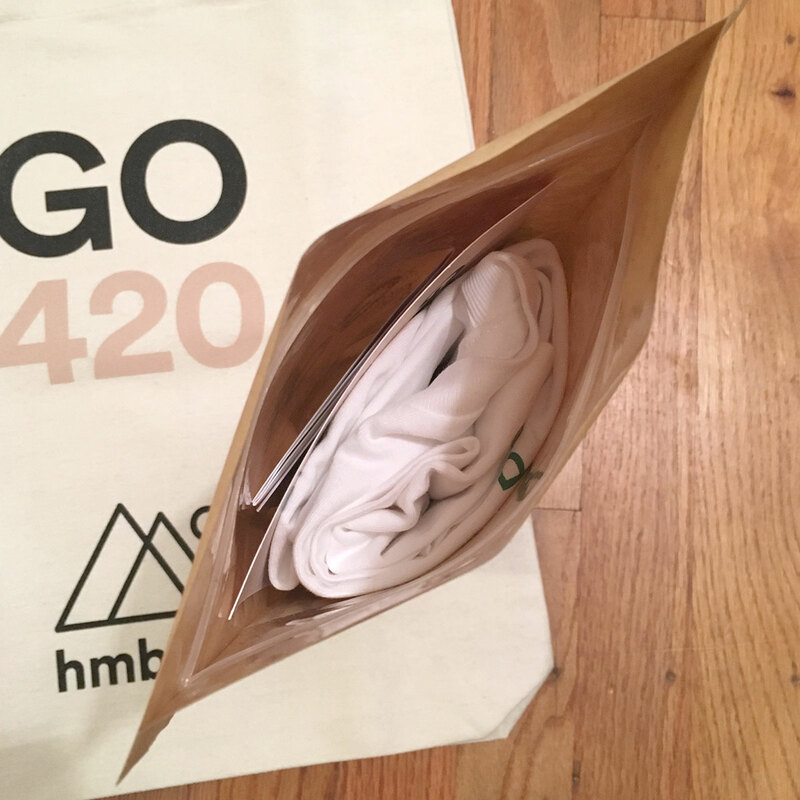 … with their GO420 hmbldt x Mister Green tee and more info inside! 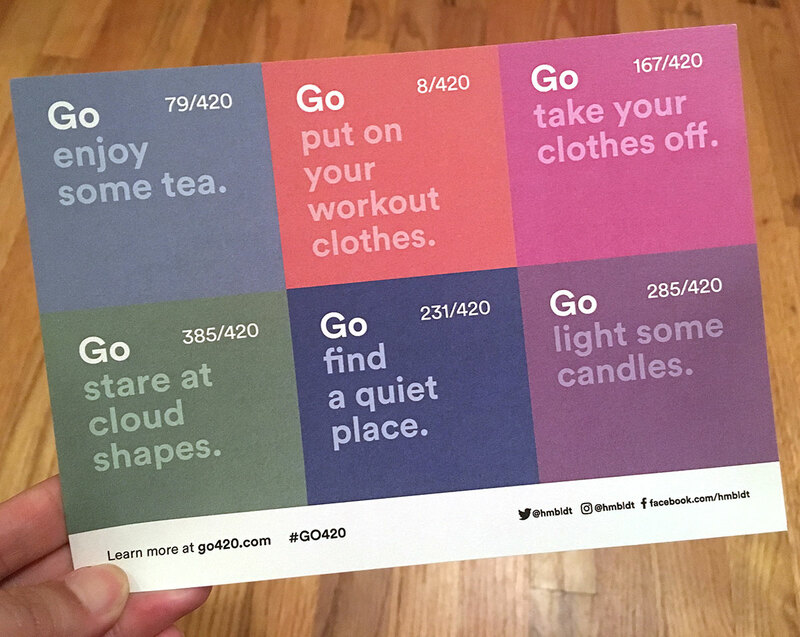 And to get us all inspired on what to do on 420… here are 6 of their 420 ideas! 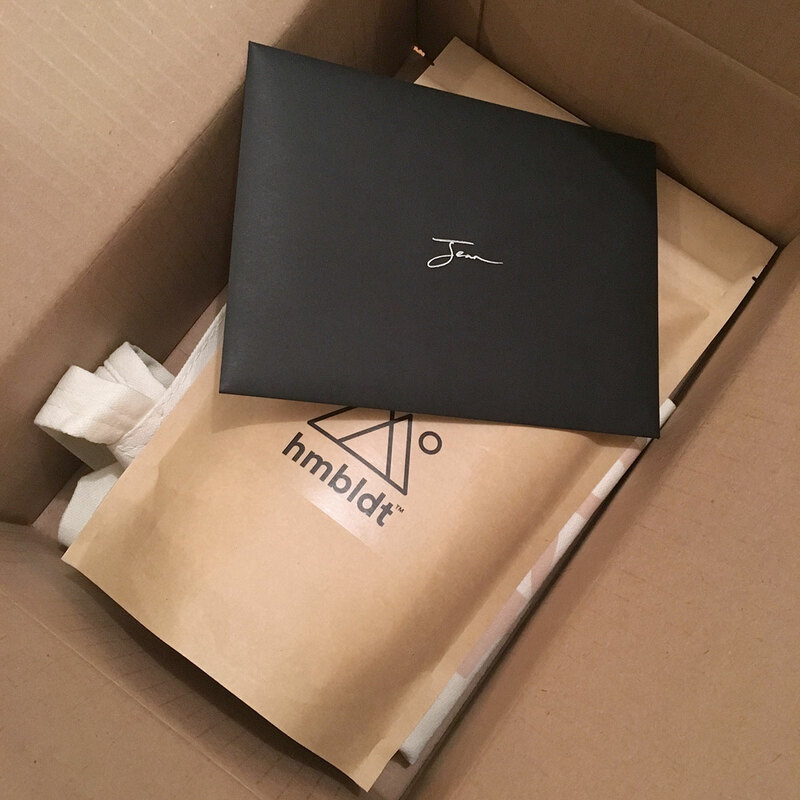 Thanks, hmbldt, and Happy 420!